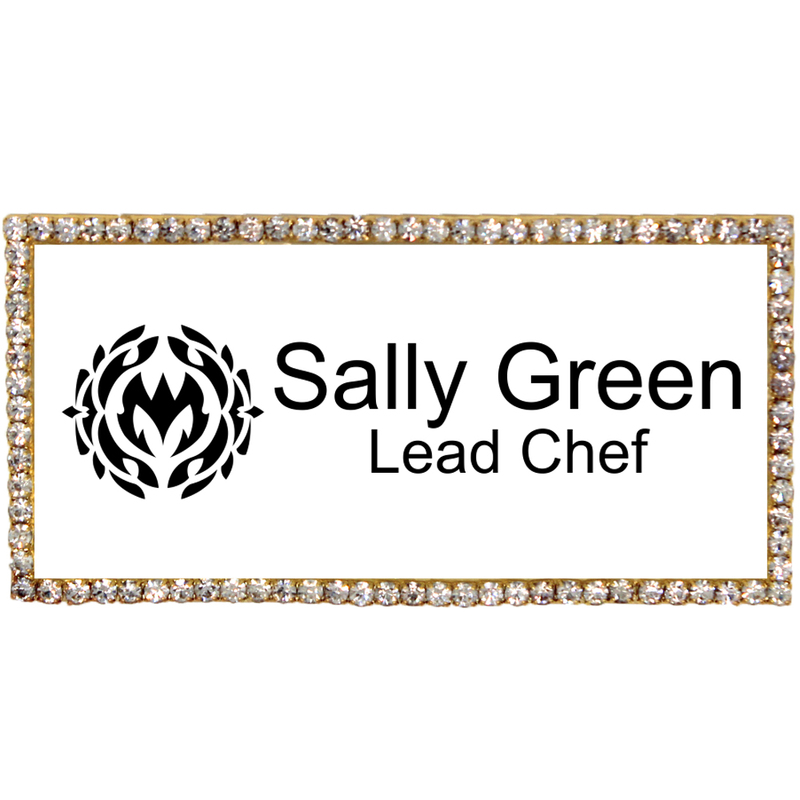 Provide your wait staff with a little bling with the Bedazzled Restaurant Server Name Tag. With full color logo and text personalization, you can make our tags match your company's branding. Featuring a gold metal frame with a rhinestone rim surrounding the entirety of the name tag. Measuring at 1.5 x 3 inches it sits well on staff's uniforms. Our badges are proudly made in the USA and most orders ship next business day.